to her lines and spaces. 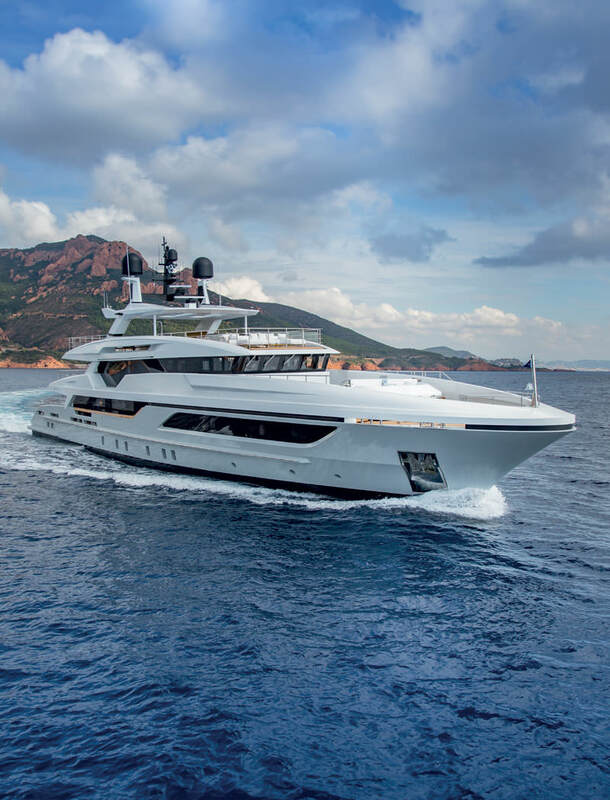 Making her debut as the largest vessel at the Cannes Yachting Festival last September, where her sale was also announced, Silver Fox is a steel and aluminium displacement yacht with a bulbous bow whose exterior styling oozes the sophisticated style and effortless grace that Francesco Paszkowski is renowned for. 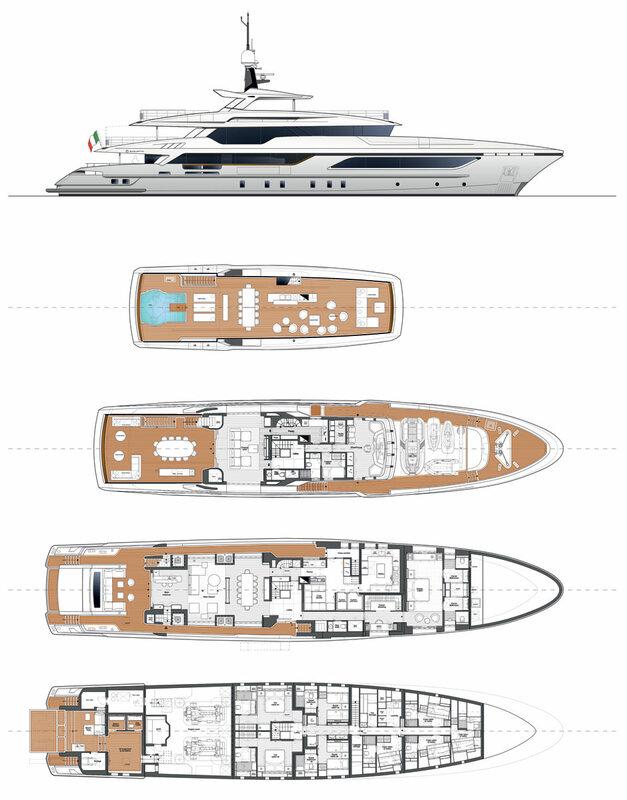 But although she has much in common with her sister ship Andiamo, it doesn’t take long to pick out the more angular shapes to the cutouts in her bulwarks that lend the yacht a distinctive personality. 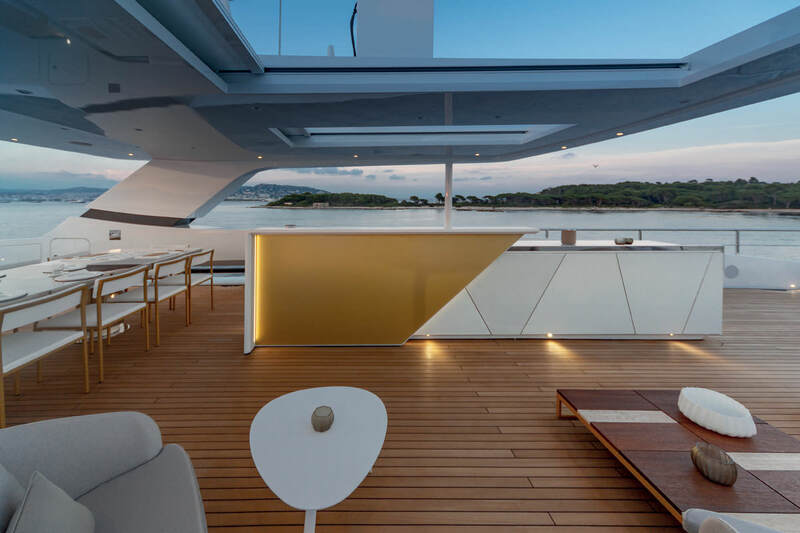 These cutouts, of course, admit more natural light into the upper deck and provide better sea views through the floor-to-ceiling windows. 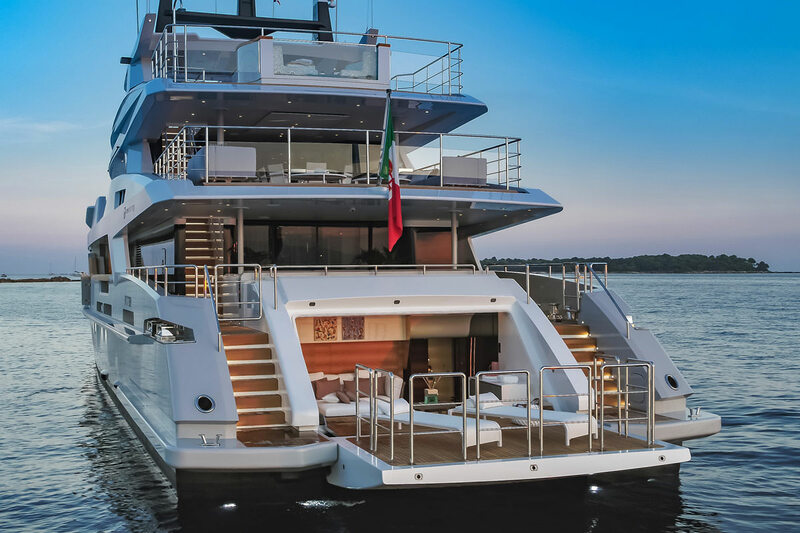 However, Baglietto’s in-house designers have adjusted the layout and upgraded the spaces to allow for a 47-sqm beach club complete with gym and steam shower, an expansive sundeck of 140 sqm, and space for two tenders and two jet skis on the foredeck. 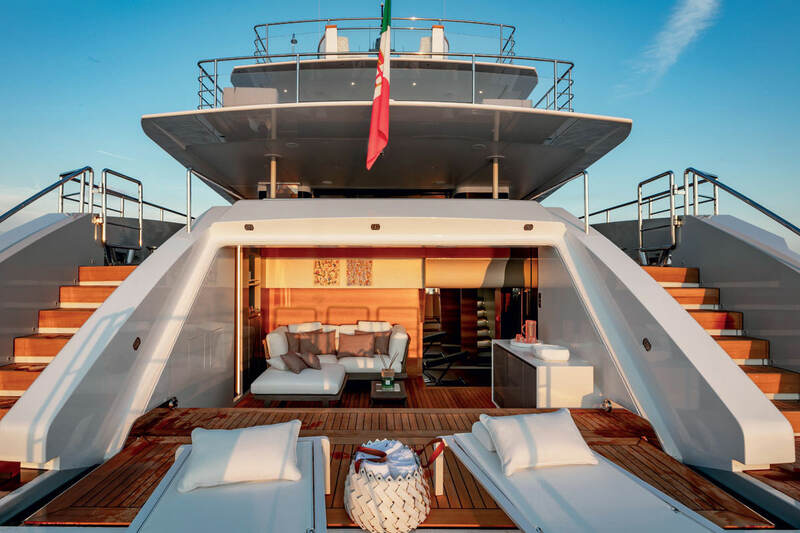 The 48m vessel has a traditional layout with a master stateroom on the main deck forward, and two VIP cabins and two guest cabins on the lower deck. 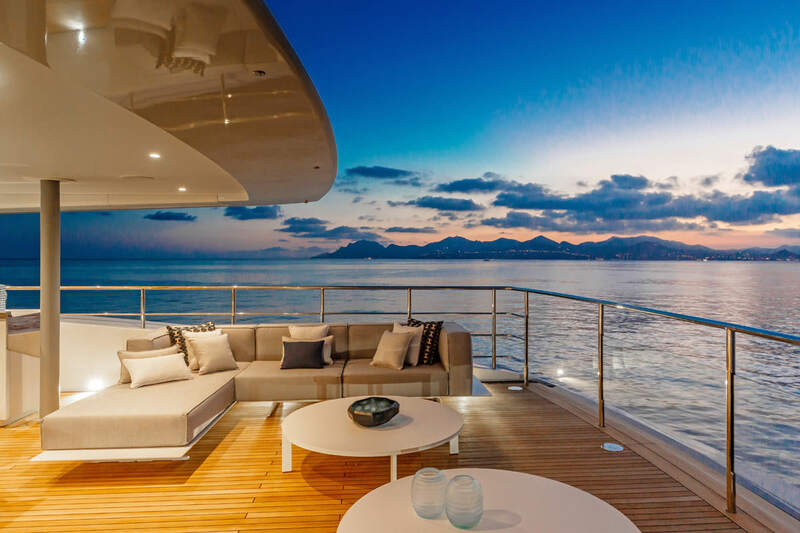 Amidships on the main deck is a large galley with crew dinette. 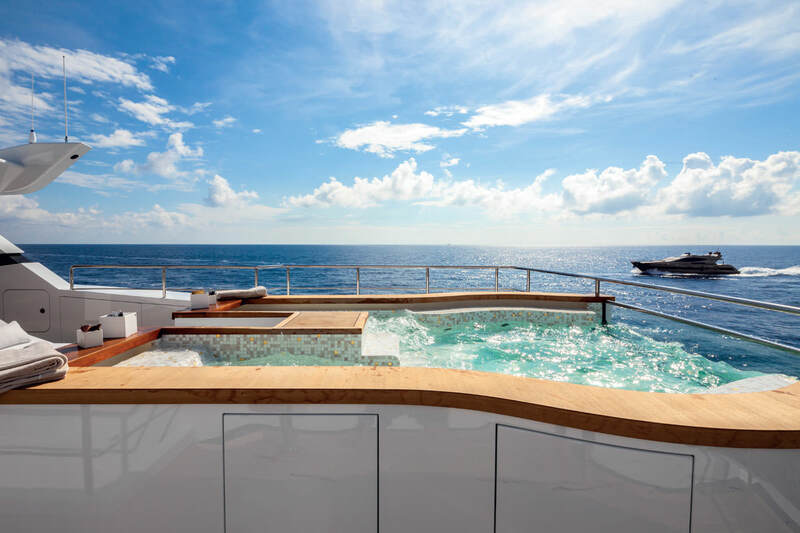 There are four double crew cabins with en-suite services on the forward lower deck (the captain’s cabin is on the bridge deck), as well as a dedicated laundry and additional storage for long-range cruising. 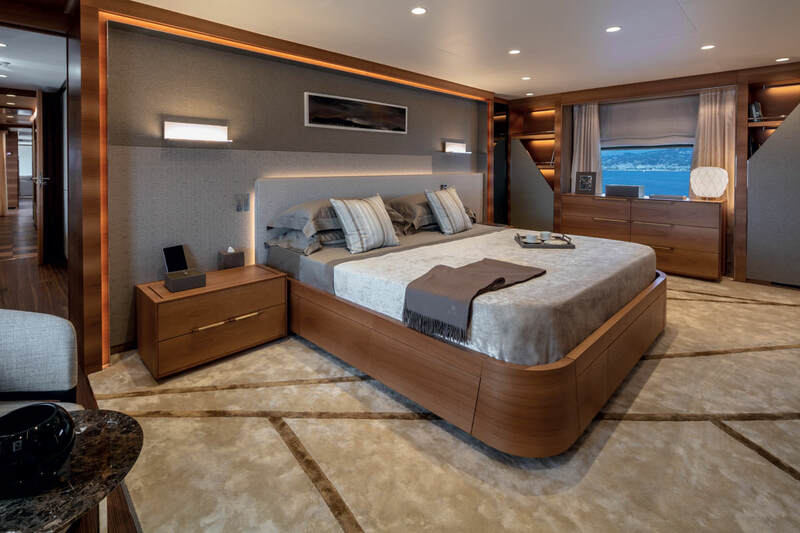 The interior decor was developed by Baglietto’s in-house design department in collaboration with partners Boutsen Design before the sale of the yacht, but the crisp tones of Italian walnut with touches of gold and bronze create a sophisticated and welcoming atmosphere that suited the tastes of her new owner. 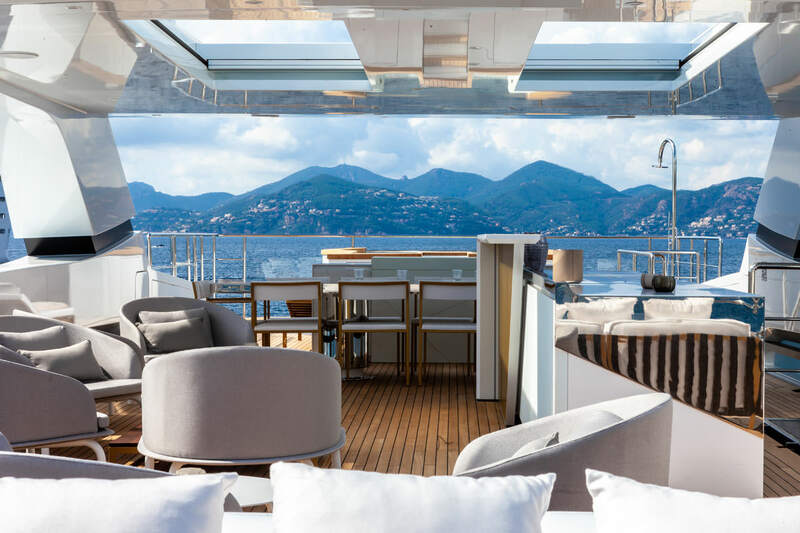 In the wheelhouse behind the purposeful, forward-leaning windscreen is an integrated bridge supplied by Telemar with navigation controls and ship management systems connected to a twin PLC system via optical fibre. 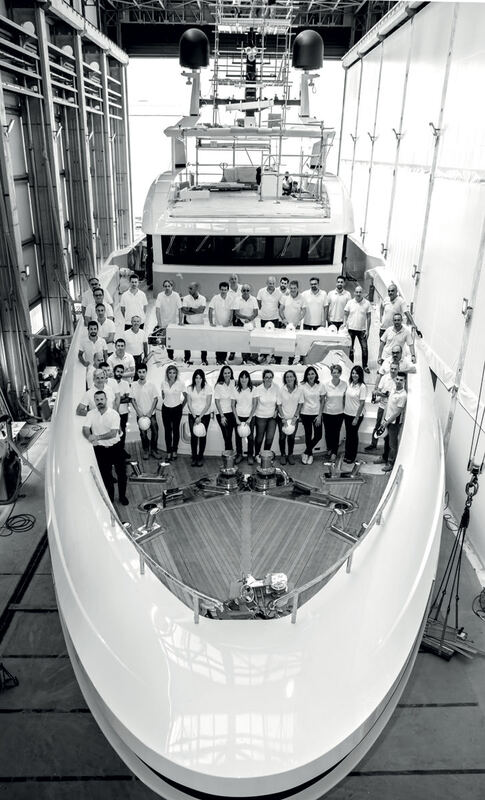 Silver Fox is powered by twin Caterpillar 3512 DITA-SCAC engines for a maximum speed of 16 knots. 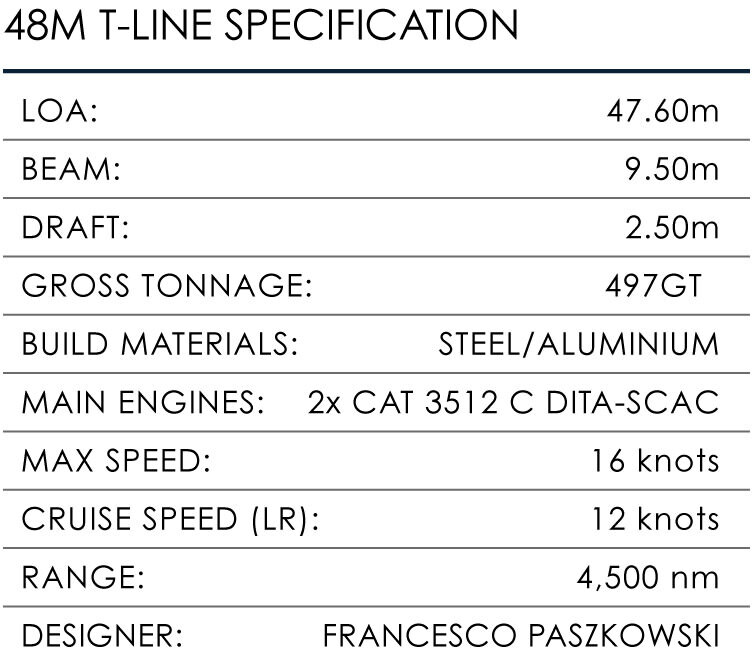 With a total fuel capacity of 80,000 litres, at a cruising speed of 12 knots she has a transatlantic range of 4,500 nautical miles. 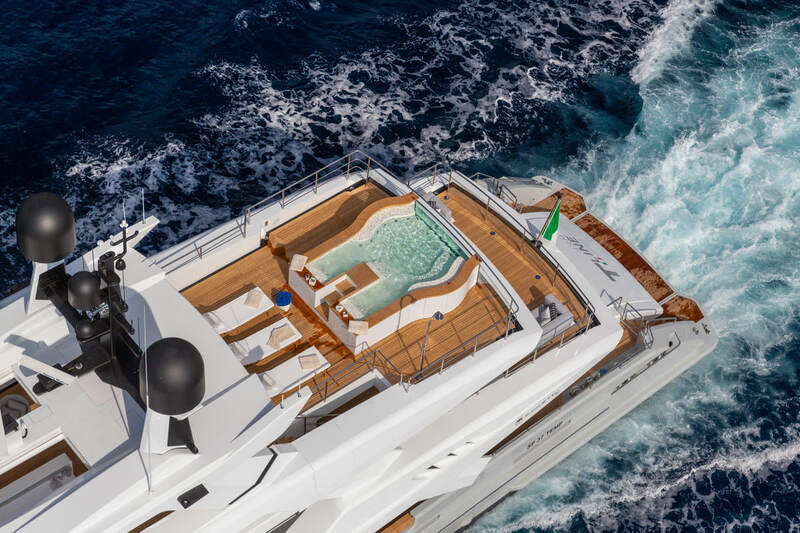 Baglietto is currently building a third sister ship (Project 10223) in the 48m T-Line series, which is available for sale with delivery in 2020.